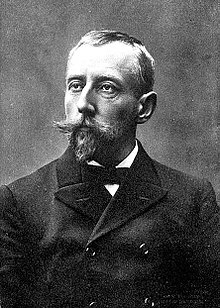 Roald Engelbregt Gravning Amundsen (16 July 1872 – c. 18 June 1928) was a Norwegian explorer of Earth's polar regions. He led the first Antarctic expedition to reach the South Pole between 1910 and 1912. He was the first person to reach both the North and South Poles. He is also known as the first to traverse the Northwest Passage. He disappeared in June 1928 while taking part in a rescue mission. The English have loudly and openly told the world that skis and dogs are unusable in these regions and that fur clothes are rubbish. We shall see — we shall see. So we arrived, and planted our flag at the geographical South Pole. Thanks be to God! Everything went like a dance. Sydpolen, 2-vols, 1912. Translated as The South Pole: An Account of the Norwegian Antarctic Expedition in the "Fram," 1910–1912, translated by A. G. Chater, 1912. "Is this really a Polar ship?" people asked; ... our paper-supply which was in all respects as fine and elegant as it could be: ... From one of the largest houses in Christiania we had a complete set of kitchen utensils and breakfast and dinner services, all of the best kind. ... We carried an extraordinarily copious library; presents of books were showered upon us in great quantities. I suppose the Fram's library at the present moment contains at least 3,000 volumes. Everything is on a reduced scale here in the Polar regions; we can't afford to be extravagant. Personally, I regard alcohol, used in moderation, as a medicine in the Polar regions. ... It is another matter on sledge journeys: there ... alcohol must be banished ... on account of the weight and space. ... Two men who have fallen out a little in the course of the week are reconciled at once by the scent of rum; the past is forgotten, and they start afresh in friendly co-operation. ... the brilliant aurora australis. ... flush of daylight has moved to the north, ... but it shows nevertheless that we have daylight here at the darkest time of the year, so there is not the absolute darkness that people think. The holiday humour that ought to have prevailed in the tent that evening — our first on the plateau — did not make its appearance; there was depression and sadness in the air - we had grown so fond of our dogs. The effect of the great and sudden change of altitude made itself felt at once; when I wanted to turn round in my bag, I had to do it a bit at a time, so as not to get out of breath. "Oh, as usual," they shouted back; "no bottom." I mention this little incident just to show how one can grow accustomed to anything in this world. We reckoned now that we were at the Pole. Of course, every one of us knew that we were not standing on the absolute spot; it would be an impossibility with the time and the instruments at our disposal to ascertain the exact spot. But we were so near it that the few miles which possibly separated us from it could not be of the slightest importance. It was our intention to make a circle around this camp, with a radius of twelve and a half miles (20 kilometers), and to be satisfied with that. After we had halted we collected and congratulated each other. ... we proceeded to the greatest and most solemn act of the whole journey - the planting of our flag. Upon reaching the vicinity of 89° 58' 30" S, 60° E, named camp Polheim, about 1½ mile from the geographical Pole. Several forays were made from here, one southwards and beyond the pole. Glad as we were to leave it behind, I cannot deny that it was with a certain feeling of melancholy that we saw it vanish. We had grown so fond of our beacons, and whenever we met them we greeted them as old friends. Many and great were the services these silent watchers did us on our long and lonely way. I may say that this is the greatest factor — the way in which the expedition is equipped — the way in which every difficulty is foreseen, and precautions taken for meeting or avoiding it. Victory awaits him who has everything in order — luck, people call it. Defeat is certain for him who has neglected to take the necessary precautions in time; this is called bad luck. Arctic Passage at Nova (PBS) with photographs, maps, excerpts from Amundsen's autobiography and an interview with Roland Huntford. This page was last edited on 17 August 2018, at 20:31.